Welcome to MTC Removals Company Anything that requires a Man and a van London We specialise in removals throughout London the UK. Today we are moving over 50 homes and offices every week We believe our hard working approach truly sets us apart from our competitors. We’re much more then the average Man and Van Company. London Removals Company – MTC Company Moving is a tough choice for many people. One of the key facts to reduce the stress associated with moving is hiring a London removal company that possesses professionalism and adequate amount of industry experience. If not, you will probably be ended up in a complex situation. Having understood the demand exists in the industry for a professional removal company, We have established our company with the help of highly qualified and experienced professionals. Why we are special We have set out motives to be the most customer oriented London removal company. We have strict codes of conduct in order to provide our clients a fully professional, hassle free service. Our main intention is to help our valuable clients to feel less anxiety and take their worries away with our supreme quality service. Based in London, we have already served a large number of customers of various scales and assisted all of them to experience a stress free moving. Comprehensive insurance coverage No matter what the scale of the job, we are ready to provide the maximum protection to your belongings during the move. All the house moving services we offer are empowered with comprehensive insurance coverage for the delight of our clients. Because of this comprehensive assurance, your precious belongings will be perfectly safe with us .Call us now and Get your Free Quote Today! 0800 294 0566 | 079 0824 7249 | 020 3239 9462 | info_@mtcremoval.co.uk. 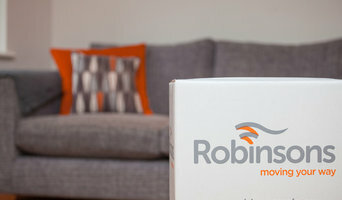 Robinsons is a national removals and storage company specialised in house removals, international removals, european removals, storage and self-storage. We have a fleet of over 60 modern vehicles, as well as a highly skilled and trained workforce of over 150 dedicated employees. Devon Removal company D & R Removals based in Plymouth, Devon cater for both domestic and commercial clients, with over 20 years' experience in all aspects of removals and storage. Fully insured and members of the Road Haulage Association D and R Removals offer personal attention and competitive rates. Specialist care in moving pianos, plants and pets throughout the United Kingdom and Europe for domestic customers. A fully confidential service for commercial clients moving documents and relocating offices as well as the removal of heavy items including machinery and safes. Look no further than us to take the stress out of the big move. Call Superb Moves based in Battersea, London, for superior home removals. Welcome to Lloyds of Essex Removals. 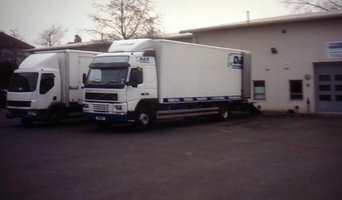 For years, we have been helping domestic and business customers with a wide range of removal services. We can help you, whether it's a home or office relocation, so give us a call today and make your best move ! We are family run comany with 30 years experience within and around Surrey covering all aspects of relocation and storge solutions. Allan’s Rubbish Removals & Waste Clearance is a junk collection company based in London, UK. Extremely experienced and reliable, our employees would never refuse to complete any removal operation you may need. The optimal and most advanced service we have on offer is the house clearance, which is a service designed to deal with bulky household rubbish that’s commonly seen in every house. This includes old, damaged or unusable furniture, general household waste, both organic and synthetic, etc. We also perform office clearance, post-renovation waste removal, loft clearance, garage clearance, and green waste collection. 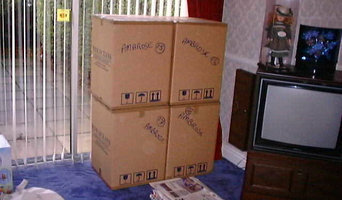 We are a personable and professional removals & delivery company. We work quickly and efficiently to ensure that your valued possessions are moved as safely as if you were moving them yourself. Every one of our drivers and porters undergoes full, professional training in every aspect of their job. With the 10 years of experience our team has, your next move is made completely stress free. Why White Van Gentlemen? At White Van Gentlemen, deliveries, removals and storage aren’t just about shifting boxes from one place to another. Our strong work ethic means that you get a service you can trust, and a polite, courteous team to make sure that whatever your requirements, you come away 100% delighted with our work. From the very start, we’ve been making our customers happy right across London with our mix of old-fashioned politeness and modern techniques and equipment. That means always keeping our promises, never letting you down and going that extra mile to ensure your day goes to plan. Call us today for a quote or a chat about exactly what you need, and find out why we think we are the number one in London! Our Philosophy - We believe in courtesy WVG is a company that prides itself on professionalism.